**Note: This pattern is part of a crochet collection. 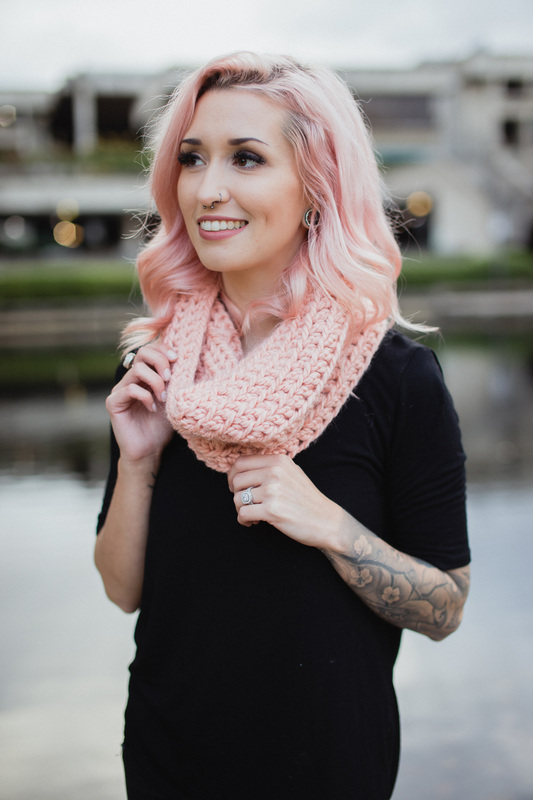 Check out the Le Meilleur Crochet Collection to snag this pattern and eleven others at a discount! Easy, repetitious, and such a perfect project to work on while Netflix’ing, or while you sit in the quiet to explore your mind and all that you are grateful for. 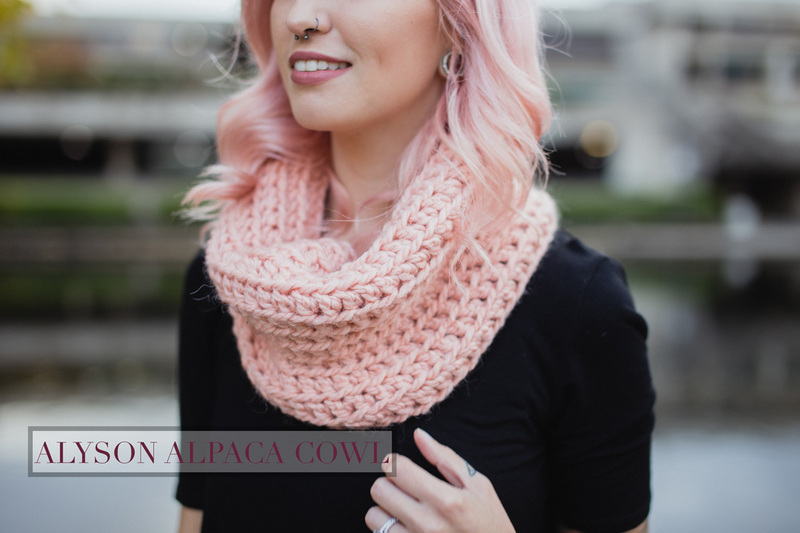 Besides, who DOESN’T love cowls and alpaca fibers?! This PDF pattern is written for those with basic crochet knowledge. This is considered an "easy" pattern. You may sell items made from using this pattern but PLEASE remember to reference my shop, The Hook Nook, (IG: @the.hook.nook) for which pattern you used. You may not alter, share, sell this pattern. It is for personal use, with the exception to sell items created from it. Thank you! **If you have any questions about this pattern, please join our Facebook group (The Hook Nook Crochet Group). 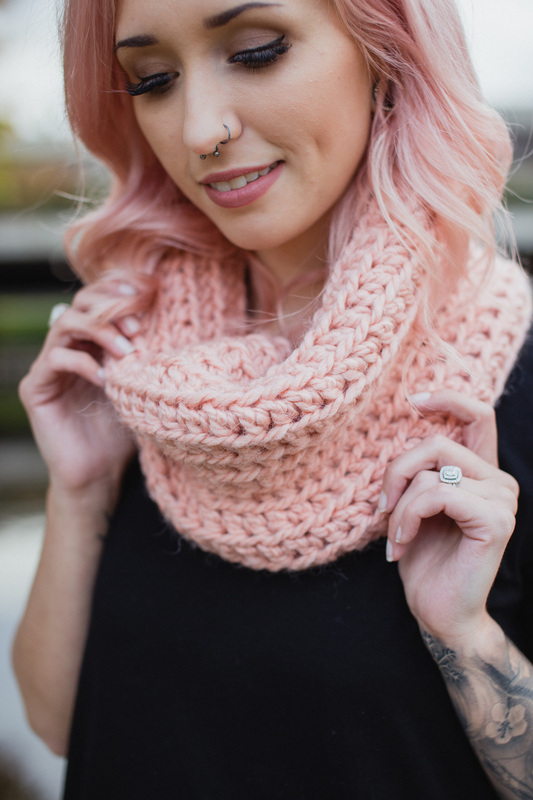 There are many people in that group that have worked on each of Jessica's patterns and will be happy to help you figure out any part you may be having difficulty with. You will receive help much sooner if you are able to post your question(s) in the group. Your files will be available to download once payment is confirmed. You will be able to access an instant download link after checkout. You will also be emailed a link to the email you use at checkout. Please remember to double check your email that it is accurate prior to completing your purchase. Please save your email receipts with the download link to be able to access in the future, in the event your download goes missing. Who likes patterns they can't access the moment they want to?! Not me. Your payment information is secure. We do not keep your credit card information. We accept Paypal and debit/credit cards at checkout for payment on any order. We are confident in giving you the best quality possible. If, for any reason, you are unhappy with your purchase please contact us (email : support@thehooknooklife.com) so we can address and fix your issue(s). Refunds will be accepted up to 14 days after purchase. Returns and exchanges will be accepted up to 7 days after order has been delivered. If you are returning or exchanging any part of your order, please keep product(s) in original packaging, as it was delivered to you. Products that are outside of original packaging will not be eligible for returns or exchanges. Please do not wash any apparel if a return or exchange is necessary. Please keep all product(s) in original condition. **Refunds for instant downlaod pattern purchases will not be made due to the nature of this transaction. Preorder items: Please allow 6-8 weeks for shipping notifications once the preorder time has completed. Products will not be in our hands for 4-6 weeks, and please allow 2 weeks for our team to carefully and properly handle all orders. Besides, if you expect it to take 8 weeks and it only takes 6, you'll be super duper stoked - and who doesn't want to be stoked? Gift cards: Gift cards are available for purchase for $10-100. After gift card purchase, an email will be sent to the email listed at checkout with a code and instructions for how to redeem. 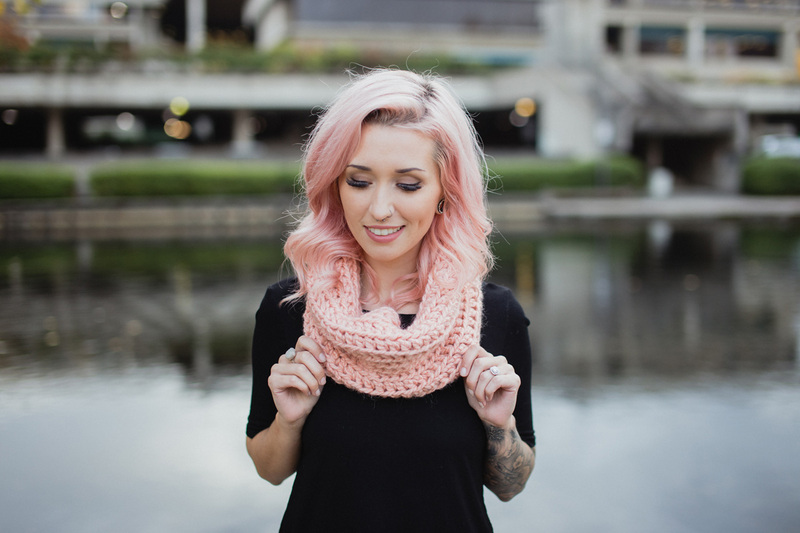 I mean, who DOESN'T want a gift card to snag a couple patterns - or even a cozy wearable! Crochet is cool. You are cool. You deserve this. Your payment information secure. We do not keep your credit card information. We accept Paypal and debit/credit cards through Direct Checkout as payment on any order. Orders are not started until payment has been received. We are confident in giving you the best quality possible. If, for any reason, you are unhappy with your purchase please contact us (here, or a direct email to contact@thehooknook) so we can address and fix your issue(s). However, once the item has been shipped we do not allow any refunds. **Refunds for pattern purchases will not be made due to the nature of this transaction. We love custom orders so if you have any fun ideas please email them to us at contact@thehooknook.com! Hi, friends! 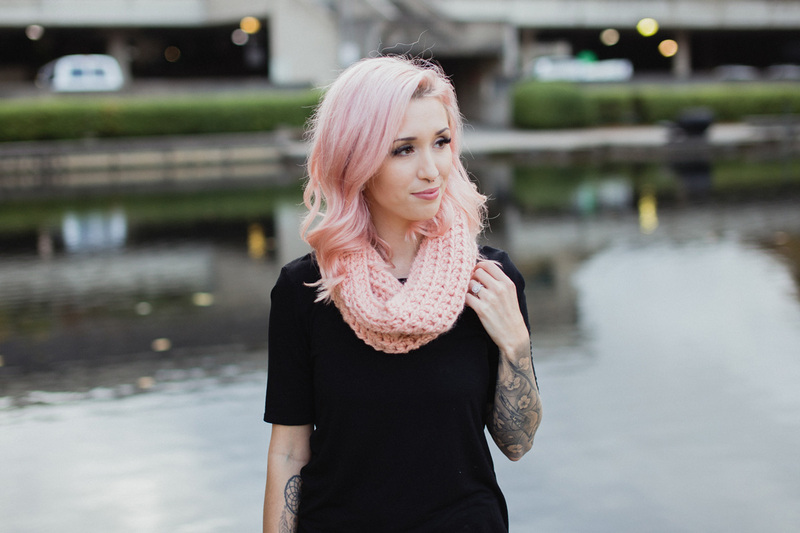 I’m Jessica, a pink-haired and giggly lady who realllllllly loves her fiber yumminess.